Worship for Ash Wednesday, tonight 7:00 p.m.
February 12 at St. John’s Cathedral (135 Anderson Avenue), 10:00 a.m. Speakers: Senator Murray Sinclair, Kevin Lamoureux, Elder Norman Meade, and the Planning Group for the Healing Forest Project. The Healing Forest is a living memorial to Indigenous children lost to or affected by the residential school system. 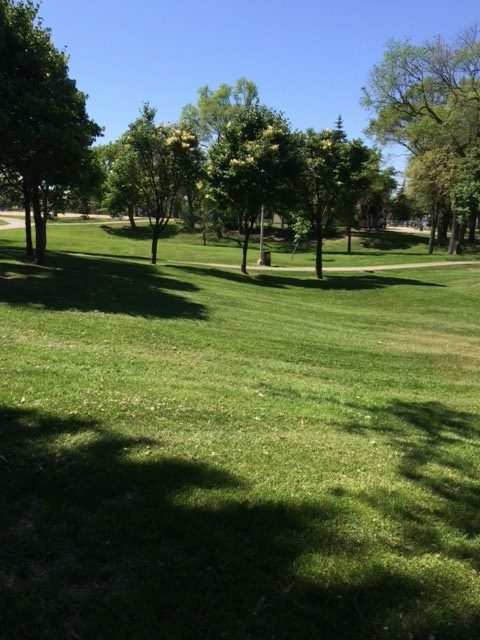 It will be placed within St. John’s Park in the North End of Winnipeg. The Healing Forest is more than a memorial. This land will be a gathering place for families, communities and schoolchildren and a place for learning and healing. It is a place for remembering the past and envisioning the future. More information about the Healing Forest can be found here. The Annual General Meeting is Feb 25. The meeting will begin at 1 p.m. following a potluck lunch for all, downstairs in the John West Hall. All are welcome for lunch. Members will sign in to vote. Everyone is invited to stay for the meeting. Surrounded by his family and loved ones Sherwin Sheppard, the patriarch of our family also fondly known as Sheppard and Sheppy, was gracefully and peacefully welcomed into the kingdom of our heavenly father and Saviour at the Winnipeg Heath Sciences Centre. Sherwin will be gratefully remembered by his former wife Alva Williams, his former common law wife Vidyah Maraj and his long-time friend Jean (Bibi). He was the father of 14, Sherry (deceased) (Fredrick), Gail (Jerry), Sharon, Chedwin ,Ingrid (Leonard) , Shirley, Sherlock (Naomi), Sherlon, Selina (Curt), Sherwin, Stephanie (deceased), Sheena. Shinelle (Kester) and Shervan. He was the grandfather of 30, Peter (deceased), Allan, Amey, Ashley, Adam, Sherry Ann, Sherrylann, Jude, Sherelle, Stacyann, Seline, Leona, Neil, Richard, Ingrid, Shantol, Christina, Stephon, Joshua, Adinah, River, Ethan, Stephanie, Jadon, Elijah, Kairon, Kylon, Kaidon and Samyra. Sherwin had 16 great grandchildren Lincoln, Lucas, Shaiyon, Jaheem, Joye, Rishawn, Rinelle, Rayann, Reon, Ryan, Alissa, Mickael, Bentley and Benjamin. Sherwin was the loving brother of Barbara Sampson (Lennard deceased), Shirley Cooke, Jack and Jeff (Athea). He was the uncle of many and relative to the Samuels and the Williams. He was also the dear friend of Boysie (deceased) and George. 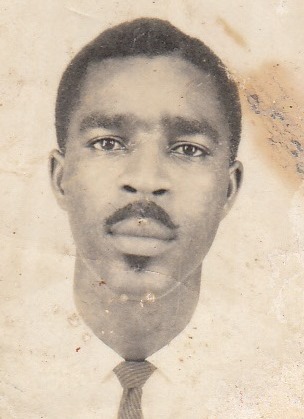 Born on the 11th of January, 1936, He was the first born to Augustus and Violet Sheppard at Cocoyea Village San Fernando Trinidad and Tobago, where he retired as a plant operator at the Steel Industry, before immigrating to Winnipeg Canada in 1994. During his life time his greatest past time was fishing and he was admired for his cooking skills. He also loved gardening but his happiest moments were when he was surrounded by his family. His love of family caused him to make great sacrifices throughout his lifetime and he would gladly do without to see any of his children happy. It is with deep sadness that the Sheppard family says farewell to the ‘Silver Fox Sheppy’ but the fond memories of his life will last a lifetime. The funeral service and interment will take place at St. John’s Cathedral (135 Anderson Ave.) on Wednesday, January 10 at 2:00 p.m., The Rev. Brian Ford, Honorary Assistant, presiding. The annual Week of Prayer for Christian Unity will be celebrated in Winnipeg from January 18 – 25, 2018. The theme is “Your right hand, O Lord, glorious in power” (Exodus 15:6). The theme and resources for 2018 have been prepared by an ecumenical team from the Caribbean. Today, Caribbean Christians of many different traditions see the hand of God active in the ending of enslavement. It is a uniting experience of God’s saving action which brings freedom. 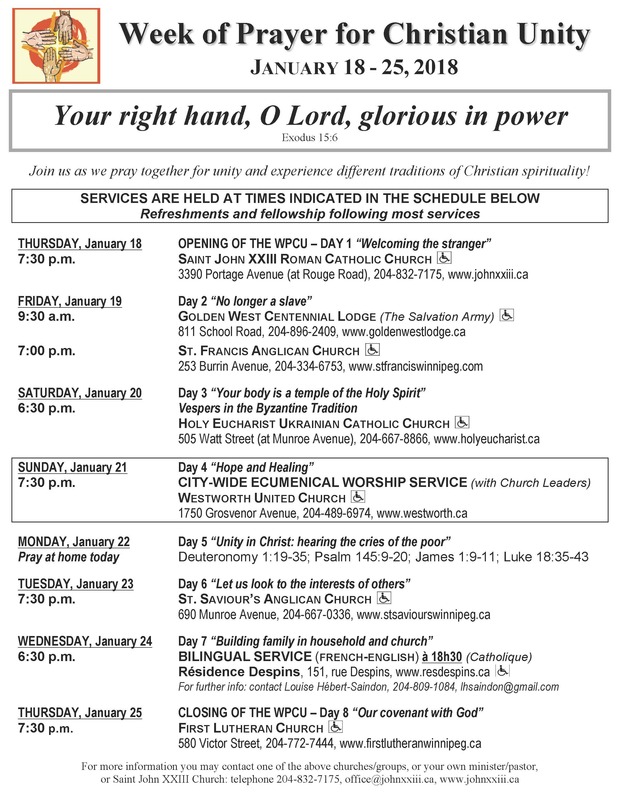 The 2018 Week of Prayer will include a City-wide Ecumenical Worship Service at 7:30 p.m. on Sunday, January 21, 2018 at Westworth United Church, 1750 Grosvenor Avenue, Winnipeg. All are cordially invited to participate in this celebration with church leaders and in the other various gatherings that will be held throughout the Week of Prayer. An ecumenical choir is being formed to lead music at the forthcoming celebration on January 21st during the annual Week of Prayer for Christian Unity. No audition is required. Anyone who can carry a tune and wishes to sing in the choir is welcome! 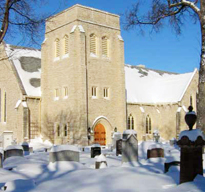 Rehearsals will be held at Westworth United Church, 1750 Grosvenor Avenue, Winnipeg, from 2:30 to 4:30 p.m. on Sunday, January 7, 2018 and on Sunday, January 14, 2018. A short final rehearsal will be held immediately before the Ecumenical Worship Service on Sunday, January 21, 2018. For further information, you may call Michele Barr at 204-453-5016 or contact her via email (mbarr41@shaw.ca). Join us for worship at 10:30 a.m. on November 5th, 2017. 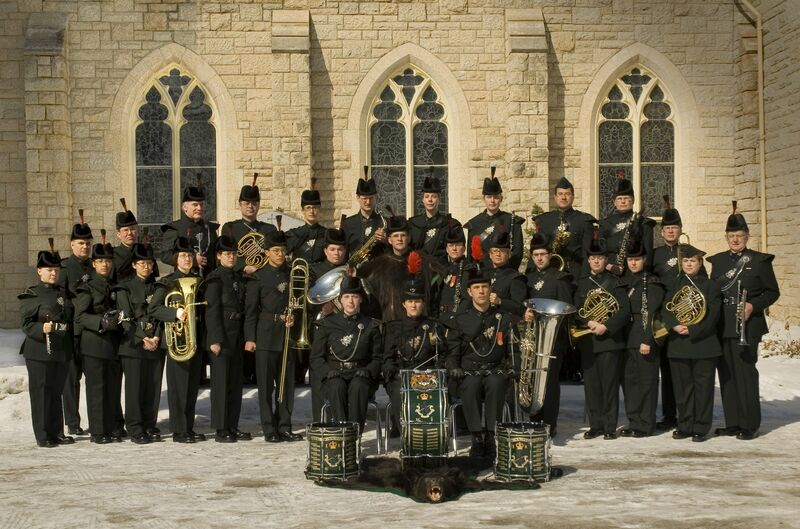 The Regimental Band of the Royal Winnipeg Rifles — gazetted in 1883 and associated with this Cathedral since — will be with us, playing prelude, postlude, and several hymns. 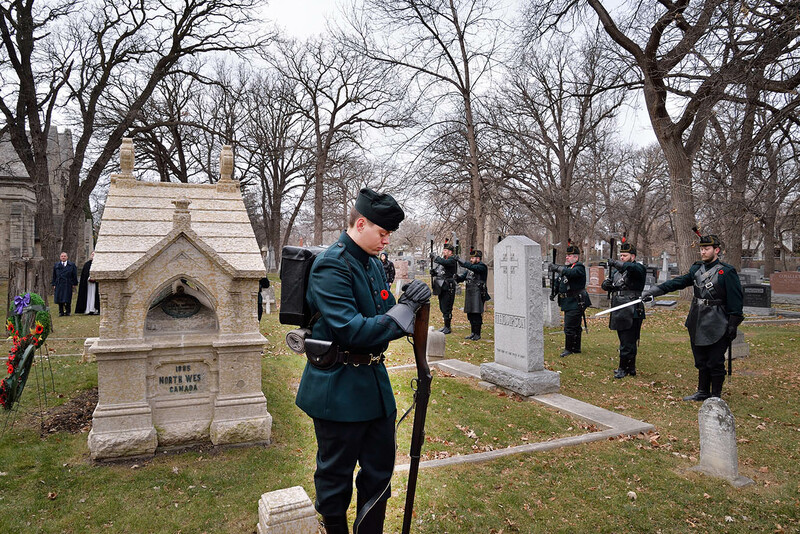 Parade to the Regimental Memorial follows immediately, with coffee, tea, cakes, and fellowship in the John West Hall to follow that. The Director of the Band is Lt. Ryan Wehrle. Welcome Rifles, welcome all! 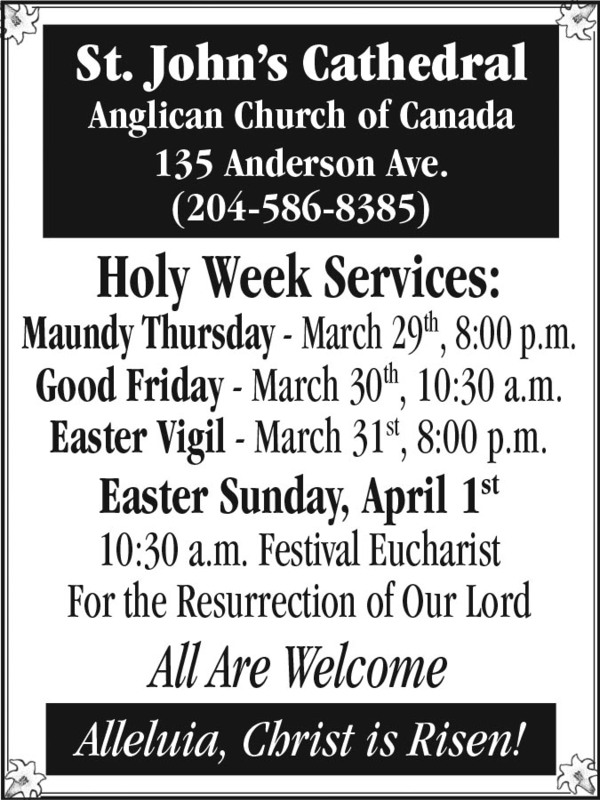 Address: 135 Anderson Avenue, just off north Main, north of St. John’s Park, east toward the River, street parking, wheelchair accessible. 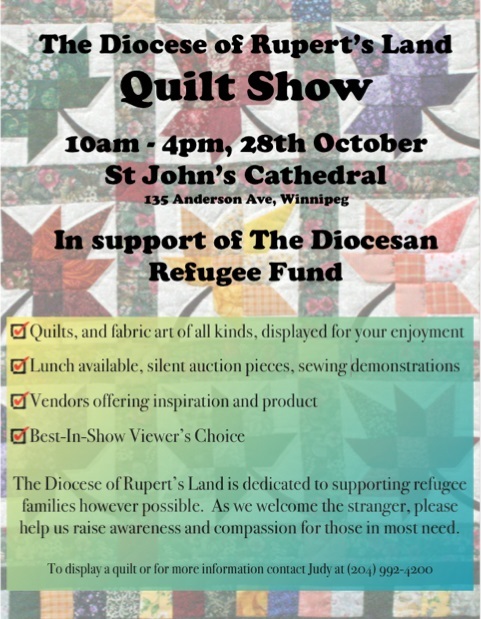 The Refugee Committee of the Diocese of Rupert’s Land is hosting a Quilt Show at St. John’s Cathedral, 135 Anderson Avenue, on Saturday, October 28 to raise funds for the Refugee Fund. If you are interested in displaying your quilts, please fill in the following form and email it to Rev Helen Kennedy at samjim@mymts.net. 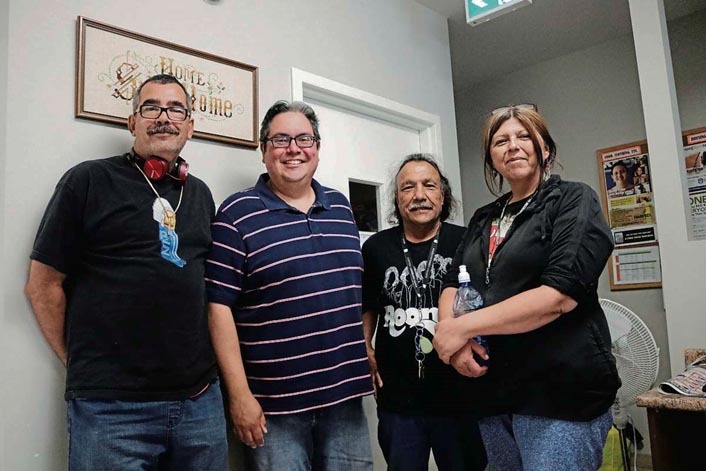 After nine years of working in the North End, Kyle Mason has decided it is time for someone else to take the lead at the North End Family Centre. Mason announced his resignation as the organization’s executive director on Aug. 16, saying it wasn’t a quick and easy decision but a matter of recognizing when his work was concluded. A new and fresh skill set is needed to take the organization to the next level, he said. “I had a few people call me, text me, saying ‘OK, what’s the real story?’ I think sometimes people were expecting that there was more to it, but it’s really true and authentic to what I put out there,” he said of his social media announcements published on Aug. 16. Almost 10 years ago, when Mason and his wife moved back to the North End from another province, he had the desire to do something good in the community he grew up in. Mason said his story is “the North End story.” Both his parents were impacted by residential schools. He was raised in a single-parent family that struggled to make ends meet, which he said is a circumstance similar to what people are facing in the community NEFC serves. He realized many people were doing great work in the North End, mostly focused in North Point Douglas or Selkirk Avenue, but the St. John’s and Luxton areas had many of the same issues and fewer resources to address these concerns. He spent six months talking to the community about what their needs were and how they should be addressed. “From day one I wanted to do things with people, I didn’t want to do things at people,” he said. Since the beginning, Mason’s goal was to put on an organization that would’ve outgrown, outlast and outlive him. The organization has had a significant impact in the community and recently moved to a larger location at 1344 Main St.
Mason added a good leader knows when to start something, when to lead something and when to get out of the way. Nevertheless, he is not rushing. He’ll stay until the board of directors finds a replacement for him, a person he will train. Mason said he will continue to be involved with the organization as a financial donor, future volunteer and in any other way the board asks him to serve. Furthermore, he continues to hold his position as the president of the North End Community Renewal Corporation and will continue to stay involved in the projects he cares about. This difficult decision allowed Mason to reminisce on the great things he accomplished over the years and he said he is grateful for the people he’s met and honoured by those who have invited him into their lives. “Over the years I’ve been through the good times and rough times with people. There are many cases where I’ve seen people coming through our doors where they are struggling in multiple ways to years later they are thriving and doing well, and they are happy, and they are healthy,” he continued.